.The first question to ask is why people are engaged in violent street protests in Paris, but not in Washington, DC. I have personally experienced these Paris protests, and the smell of tear gas on the Champs-Élysées reminded me of the ethnic riots I experienced in Singapore in 1964. And why are the Yellow Vests protesting? For many, at least initially, it is because they didn’t believe that Macron cared for or understood their plight. And these Americans have much to be angry about. Most tellingly, the United States is the only major developed society where the average income of the bottom half has not just stagnated but declined markedly, as Danny Quah of the National University of Singapore has documented. Even more shockingly, the average income of the top 1% was 138 times that of the bottom 50% in 2010, up from 41 times higher in 1980.By contrast, Trump retains the trust and confidence of the bottom half of US society, or at least the white portion of it. At first sight, this seems strange and paradoxical: the billionaire Trump is socially much further from the bottom 50% than the middle-class Macron is. 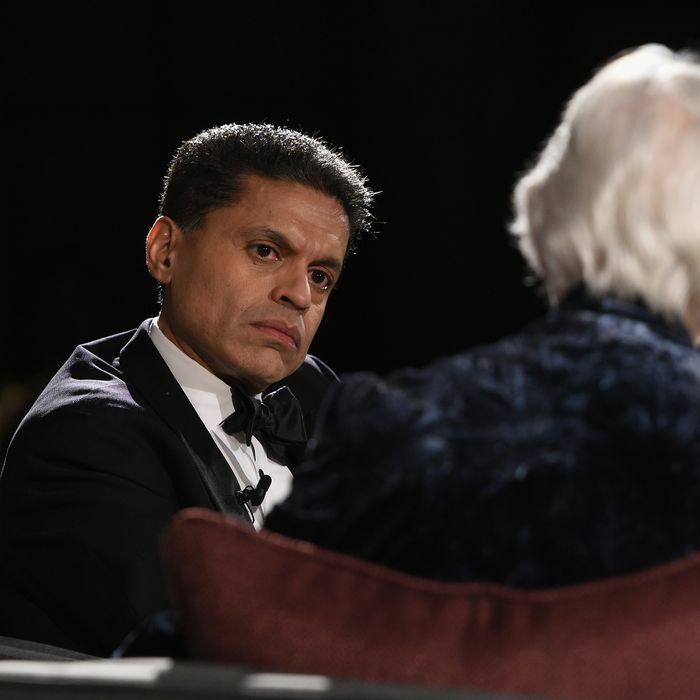 But when Trump attacks the liberal and conservative US establishments, he is seen as venting the anger of the less well-off toward an elite that has ignored their plight. His election may, therefore, have had a cathartic effect on the bottom 50%, which may explain the lack of street protests in Washington or other major American cities. .If liberals can do the latter, Trump’s election would be seen by future historians as a necessary wake-up call, while Macron’s merely created the illusion that all was well. 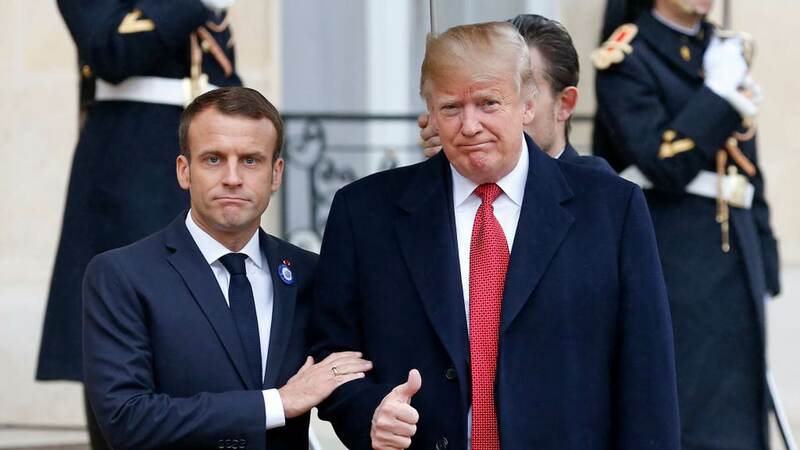 These historians might then conclude that Trump’s election was ultimately better for American society than Macron’s was for France. 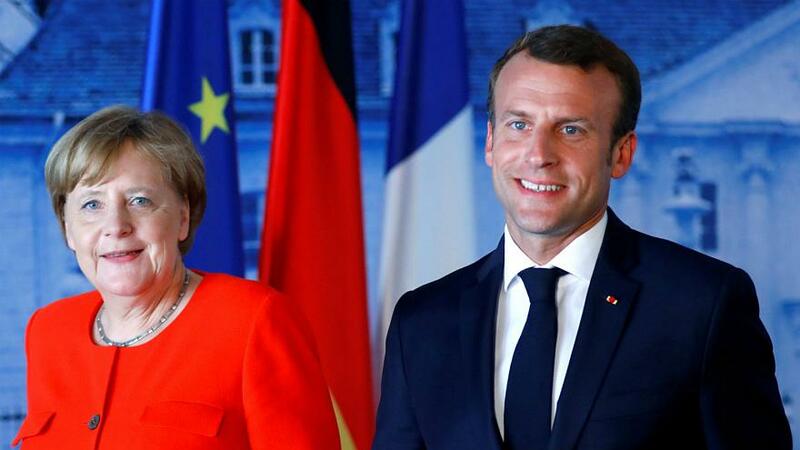 Posted in civil society issues, Crony capitalism, Demoracy, Diplomacy, Donald J Trump, Emmanual Macron, European Union (EU), Foriegn Affairs, France, Geo-Economics, Geo-Politics, Leadership, Project-Syndicate.org. “Though he was advised about the threat for his life but never shied away from facing the challenges. He was involved in ‘making India ‘strong, independent and self-reliant’. Further, he never yielded to any sentiments. 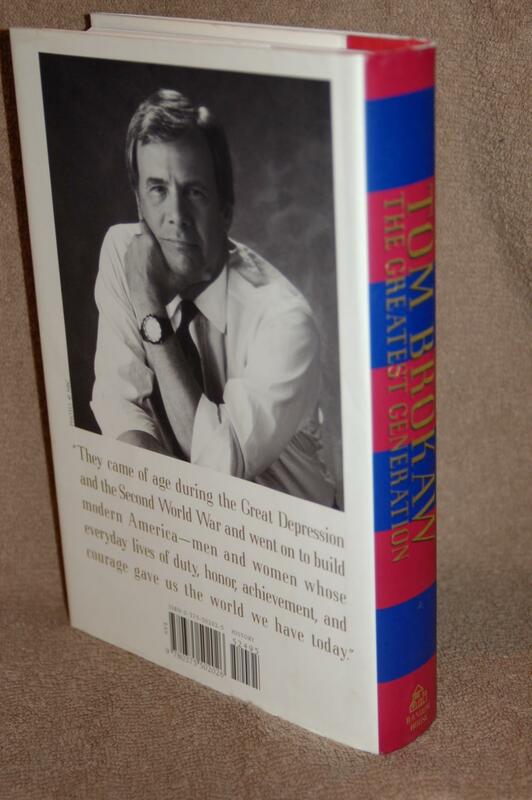 He knew that there was no room for sentiments while making foreign policy. He was ready to sacrifice anything in the interest of the country. Thus ‘moral and physical courage’ were the central part of his foreign policy making. He carefully chose his foreign visits as well as his policy had brought positive implications on India’s diplomacy. The end of the World War II in 1945 gave the birth to Cold War among the two superpowers. The U.S. and the USSR had respectively been spreading their ideologies (Capitalism and Socialism) across the globe. This was continued till the disintegration of the Soviet in 1991. International relations scholars described 1980s as the peak period of bipolar competition which had already expanded to the Indian Sub-continent. Shri Rajiv Gandhi was the Prime Minister of our country during that time (1984-89). Throughout the Cold War many developing countries were on the hinge, had stuck without moving either side but wedged with Non-allied Movement (NAM). Moreover, at that time India was leading the NAM, a trustful head for the Third World countries. Further, throughout the Cold War playoffs, building relations with other countries were not only a hard task but getting a new partner would be seen as suspicious in our old friend’s camp. Hence, in the Cold War era reaching out to new friends while keeping the old friends close to us was one of the difficult jobs and challenging. In general, articulating strategy and diplomacy would be really a tough choice but necessary. If a single word is spelt out wrongly would have greater consequences in the international stage. However, the neo-realist thinker Kenneth Waltz “believes that bipolar systems are more stable and thus provide a better guarantee of peace and security” (Jackson & Sorensen, 2003). In this article let us discuss his important visits and how Rajiv Gandhi’s state visits were received by the major-powers at the time of the Cold War and what India has gained from his diplomacy. Since the end of the World War II (apart from the five established ‘major powers’ – the U.S., Soviet Russia, France, UK and China) India was the only country that has been expected, and has the required potential, to become a major power. Surely, this would not be a sweet tune to neither the U.S. nor China. So both the countries worked against India with the strategy of containment policy supporting Pakistan in South Asia. As we said, the various U.S administrations have their strategy to contain to keep India within the Sub-continent, have been well working with the help of puppet regimes in Pakistan. On the other hand, China was blindly helping India’s adversary Pakistan to build nuclear arsenals and was then waiting to consider if Islamabad would lose the support of Washington at any point of time in a situation when the Soviet Union withdraws its forces from Afghanistan. Presuming the “U.S. inaction in the face of the Pakistani acquisition of nuclear weapons with the assistance of China, Rajiv Gandhi took the plunge and secretly authorized going nuclear, notwithstanding his personal sentiments to the contrary. The Agni was successfully test-fired in May 1989” (Baldev Raj Nayar & T.V.Paul, 2003). During the Cold War period the international politics was tough but Rajiv Gandhi’s visits brought new friends and breakthrough in India’s diplomacy. Under his leadership it was a proud moment for India in the international system. 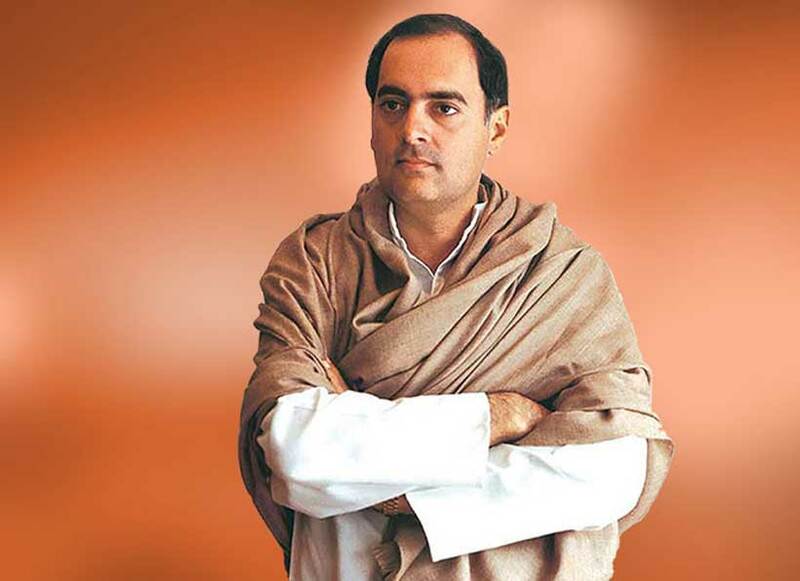 The young Prime Minister Rajiv Gandhi’s new approaches were received by the world leaders. 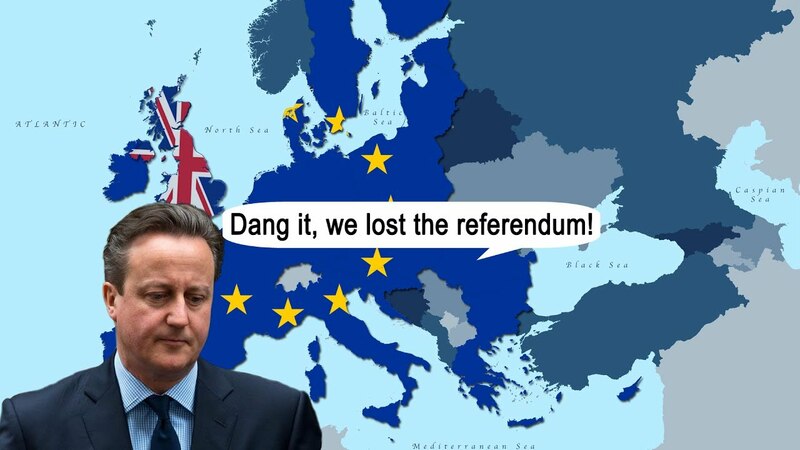 He never goes for the state visits without having solutions for the long outstanding issues. Some of the divergent issues were converted into convergent because of fresh thoughts pouring in the Indian foreign policy making. It has strengthened India’s authority in the Indian Ocean and particularly gave a turning point in India’s relations with the U.S. and China. His diplomatic visits to Sri Lanka or Australia – there were new lessons to be learned. Therefore, the international relations scholars described, “Indeed, his period in office saw India become more assertive in power terms in the region. At the same time Rajiv Gandhi’s government “walking on two legs: Economic reform and nuclear weaponisation” (Baldev Raj Nayar & T.V.Paul, 2003). In May 1988, under the leadership of Atal Bihari Vajpayee, India detonated her second nuclear test. But it was built, a decade ago under the able administration of Rajiv Gandhi. He was the architect of pro-poor liberal economy. Moreover, modernization in telecommunication sector, reforms in education, science & technology took place under his leadership. He introduced computer in consultation with Shri Sam Pitroda, the communication wizard and Rajiv is the builder of the 21st century India. Rajiv Gandhi always looks at our neighbors in two dimensions. First, when they are in need of our help he immediately reaches out to them. Through this approach he always makes them feel comfortable but at the same time keeps India’s interest alive. Second, his policies are formulated to make the neighbors to stay close to New Delhi. Also he never keeps quiet in Delhi by sending a statement through the diplomatic channel while our neighbors were facing troubles. In 1988, ‘The Operation Cactus’ in Maldives to thwart the coup against President Abdul Gayoom’s government would be seen as the best example for his realist approach. However, he always gave room for ‘mutual cooperation.’ Thus his foreign policy had the mixture of realism and liberalism, maintains India’s power balance in the Indian Ocean Region. Particularly in the Male crisis before the superpowers turn their focus on Gayoom’s invitation, Rajiv Gandhi “responded with an overwhelming speed and efficiency. With less than 16 hours since President Gayoom’s call – Indian troops were deployed in one swift motion” and saved the Maldives government (Vishnu Gopinath, The Quint, Feb 06, 2018). At the same time since Feb 2018, 16 weeks had gone; the new political crisis in Maldives is seeking India’s help. The department of external affairs has sent few statements regarding the Male issue and then kept mum. These approaches indicate that Modi’s government is not in a position to enhance India’s power projection in the Indian Ocean Region, but extending an olive branch to cool down China. These are the policy differences of the then Prime Minister Rajiv Gandhi and the present Prime Minister Narendera Modi. It would be understandable that the relations between India and Pakistan were never in comfortable course. 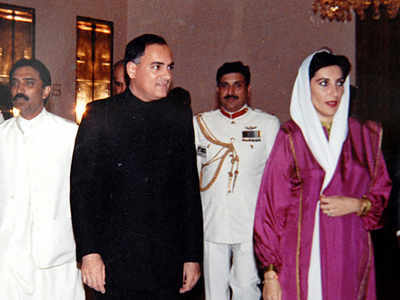 During his visit to the SARC Summit in Islamabad the ‘mutual effort’ of Rajiv Gandhi and Benazir Bhutto brought a new twist in ‘normalization of bilateral relations’ between India and Pakistan. 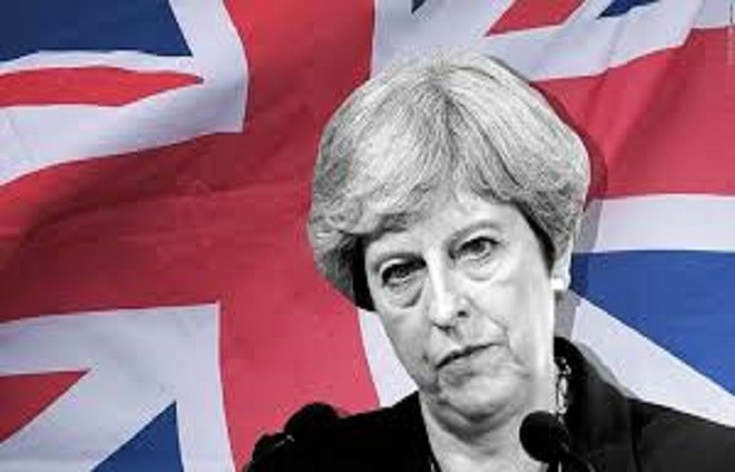 “Both prime ministers pledged not to attack or assist foreign powers to attack either country’s nuclear installations and facilities. This summit was described as the dawn of a new era in Pak-India ties” (Shaikh Aziz, The Dawn, August 2016). Further, both the leaders applied step by step approach and “widened their official contacts initiating unprecedented military – to military talks to ace tensions on their northern border, where Indian and Pakistani troops have skirmished for years” (Steve Coll, The Washington Post, July 17, 1989). These developments suggest us that the visits of the state heads are not only mandatory but it should demonstrate some valuable output. Rajiv Gandhi’s intervention in the Island-nation of Sri Lanka was the striking example for bringing peace and unity in Sri Lanka, and India’s articulation of power. This was also with the aim of keeping the U.S. out of the Indian Ocean especially not to get a foothold in Colombo in the time of Cold War. For the same cause, he lost his life at the very young age but he never folded his hands nor sat quiet when our neighbor was in need. R. Hariharan a military intelligence specialist wonderfully writes, “The Rajiv Gandhi – Jayewardene Accord, signed in the Cold War era in 1987 was undoubtedly strategic – collectively address all the three contentious issues between India and Sri Lanka: strategic interests, people of Indian origin in Sri Lanka and Tamil minority rights in Sri Lanka. The Accord was unique with respect to India’s beginning with respect to India’s articulation of power, set a strong message to its neighbors, global powers and delineated India’s strategic zone of influence in the Indian Ocean region” (R. Hariharan, July 28, 2010, The Hindu).. These are indications of his presumption on the importance of the Indian Ocean Region (IOR) for our security and our responsibility in maintaining the freedom of navigation. Rajiv Gandhi was well presumed of China’s interest in the Sub-continent. Hence, he had formulated India’s policies toward in keeping our neighborhood closer to us. The whole of his tenure as the prime minister he thwarted the Chinese entry from the Indian Ocean. The war with China in 1962 had completely stalled the ties between New Delhi and Beijing. Accepting the then Chinese Premier Li Pang invitation in 1988 he landed in Beijing. Prof. Harsh Pant from the Department of War Studies, Kings College, London says “A new leaf in Sino-Indian ties” (Harsh V. Pant, 2016). “This visit was followed by a flurry of high-level diplomatic exchanges” (David M. Malone, 2011). Further, Baldev Raj Nayar commenting about this visit a ‘turning point’, “When the two countries agreed to set up a joint working group to resolve the border dispute. A key element in the forward movement was the Indian concession not to insist on prior resolution of the border dispute, though without shelving it, but to move on to improve relations in other areas” (Baldev Raj Nayar & T.V.Paul, 2003). Further, both the countries come to an understanding of in realizing to initiate the trust building and set up a border management mechanism. Today, the Doklum crisis or Chinese troops crossing into India in the Himalayan border has been managed under this institutional framework. Thus changes were made in the Indo-China relations. However, Rajiv Gandhi never promised to the Indian voters that he would do miracles if he voted for power. But Modi has promised to the Indian public if voted to power he would do wonders in six months. Does he bring breakthrough in India’s border talks with China? Or does he raise the Doklum issue with China’s president often meeting him in various bilateral and multilateral forums? Further, in recent times Modi had to snub Dalai Lama to pacify China was not a policy mistake, but deliberately performed. He knows since the general elections are just ten months away from now if “China-triggered flashpoint would be more harmful for his political future” (Rajeev Sharma, dailyo.in). Hence, for his short-term political gains he decided to turning his back on Dalai Lama. Further, his ‘strategic restraint’ exposed in the case of crisis in Maldives also. 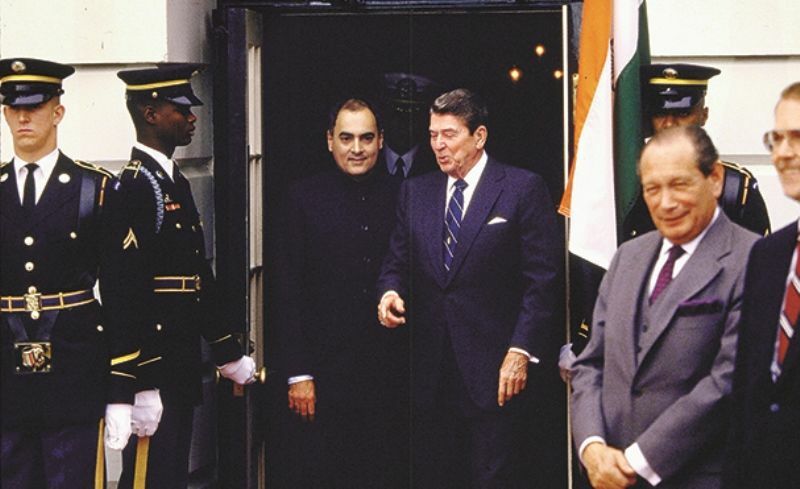 In the Cold War climate Rajiv Gandhi and his predecessors were compelled to manage the U.S.’s regional containment strategy. For the U.S., they well know India’s leadership and major power aspirations. So they don’t want to give a path for the Soviet’s best friend India to rise out of the Sub-continent. At this juncture Rajiv decided to bring down the hostility nature of India-U.S. relations. He visited the U.S. in June 1985. 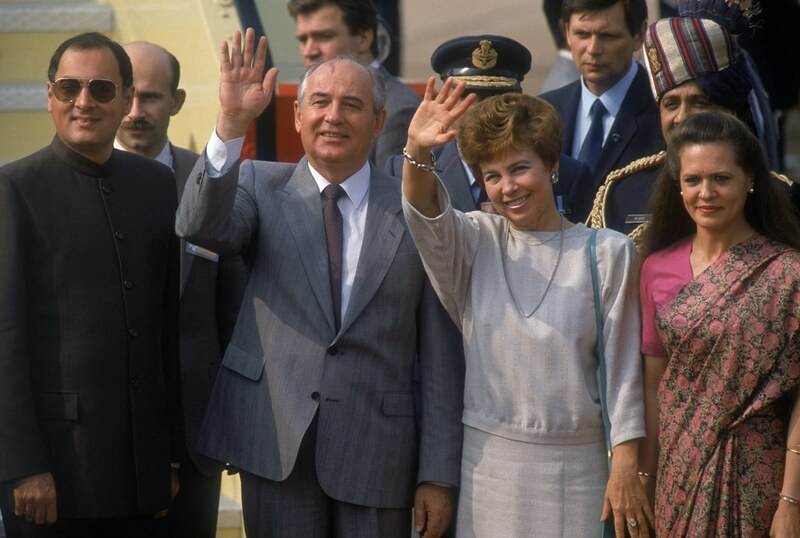 “That trip has been hailed by many as likely to contribute to a new era of cooperation between New Delhi and Washington (Steven R. Weisman, The New York Times, 1985). 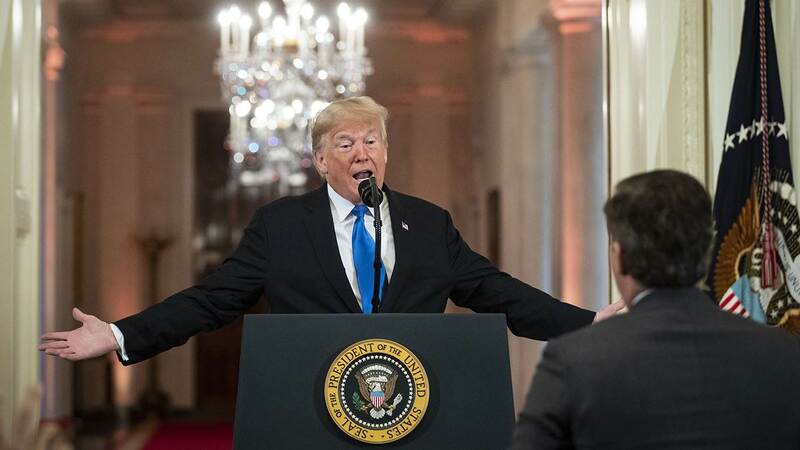 He gave a wonderful speech which was sweet and short by carrying a hint in his hand which had the strategy for both the countries to have greater understanding. At the Joint session of the US Congress he said, “I am young and I too have a dream. I have no doubt this visit will help to bring about greater understanding between our countries” (Youtube). In his reply President Ronald Reagan said, “Today we opened up personal channels of communication.” Further, signing a “memorandum of understanding” with the U.S., he promotes technological cooperation between both the countries (Baldev Raj Nayar & T.V.Paul, 2003). Hence, we should understand our present relations with the U.S. or China are the continuation of Rajiv’s breakthrough made during his visits to those countries in his premiership. Modi went to the U.S. several times in the last four years. What happened to the India-U.S. seriously negotiated nuclear deal? Are there any changes in the position of India and U.S. in the liability issue to implement the nuclear deal? The 1980s has registered the crucial period in the history of Cold War. But each of Rajiv Gandhi’s visits was well planned in advance; policies were made with sufficient consultations, and had definite trajectories to strengthen India’s interest globally. His visits to Pakistan, China and the U.S., further, the way he was handling the crisis in the Indian Ocean islands would tell us how much is he committed in keeping not only India’s ambition in the international system but also have delivered India’s moral responsibility to help our neighbors while they required our support. Under Modi’s leadership our capabilities are not properly demonstrated. Modi even evaded in visiting Maldives in his Indian Ocean Islands tour in 2015, the reason for his evasion was stated by his office as ‘the time was not favorable for the prime minister to visit’. Rajiv Gandhi visited Pakistan in a crucial time of the Cold War. His office does not say that Pakistan’ situation was not conducive to the prime minister to visit that country. Hence, his achievements in the area of India’s foreign policy would not be wiped out or to be erased. The imprint of his legacy in the making of Indian foreign policy will stay longer in shaping of India’s diplomacy and ever lingers in our memory. Posted in Democracy, Diplomacy, Foreign Policy, France, History, Human Rights, India, International Relations, Leadership, Narendra Modi, Politics.